More from Michael Meyer. As usual click on the images for the full view. Nice pic of a Stab II./ JG 26 Me 109 G seen in March 1943 in Vitry en Artois. It is just possible to make out the Doppelwinkel (twin chevron) of the Gruppenkommandeur. Note the 2 MG 151/20 in the underwing gondola of the typical Kanonenboot and the bowser topping off the machine's oil tank. 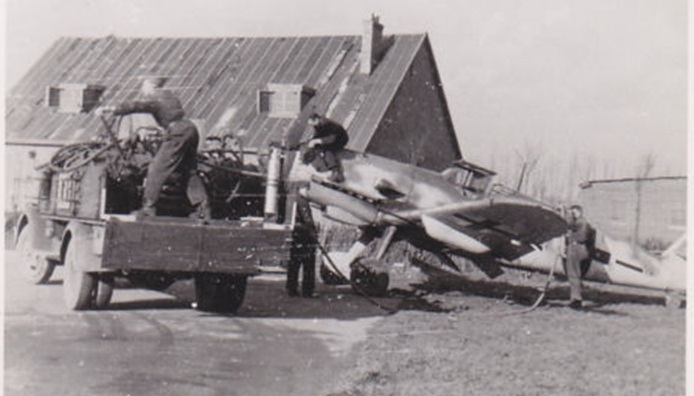 Above; Me 109 G with gondola-mounted MG 151s (Gondelwaffen MG 151/20) as flown by Lt. Kurt-Erich Wenzel who was KIA on 20.1.1943. 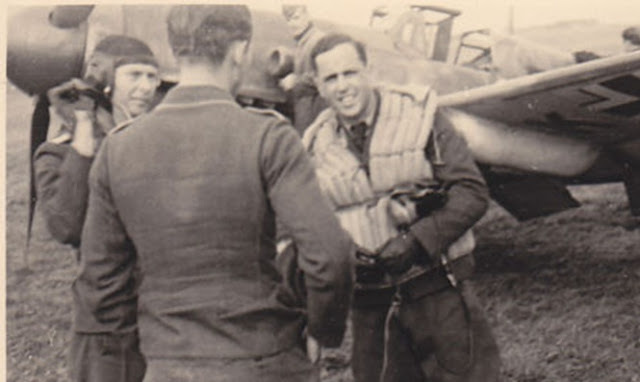 The pilot is seen here in January 1943 in Vitry en Artois and had returned at least two Luftsiege. 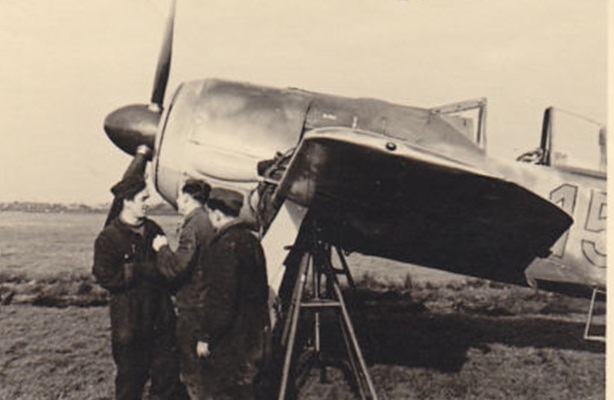 Early FW 190 A of 6./JG 26 in Wevelghem during the fall of 1941 undergoing undercarriage retraction tests.